Incredible space. Manager is wonderful. Upgraded us and great dining suggestions. Fantastic place, well situated in the heart of town. Elisa spoke English and couldn’t have been nicer or more helpful. Centrally located building. 6 min walk from a free public parking lot. Historic, spacious building with large apartments. We had a 2 bedroom with large windows & plenty of natural light. Beds were firm & comfortable. Host was super helpful & friendly. Overall a very positive experience, will happily stay again. An atmospheric place to stay if you have reason to visit Citta. Beatifully turned out apartments in really lovely building, great location. Spending one night in an old renovated rectory, in the charme of Città di Castello center, it has been nothing short than amazing. Staff's charme receiving and welcoming us, suggesting place to enjoy at best such a wonderful town made our stay just fantastic. Check in was easy. The owner just informed us the passcode and we are able to check in easily. It's good for both the guest and the owner as both parties need not have to wait for each other. Her explanations on how to get our keys were very clear. Friendly, hospitable staff, great location, nice big rooms and bathroom and good wifi. 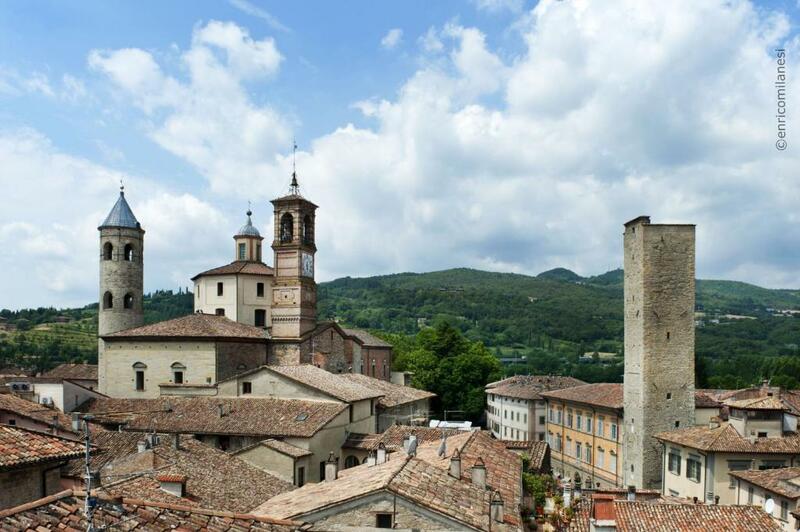 The location is stunning and it is centrally situated close to all the Citta di Castello has to offer. Great staff, brilliant apartment, old, classy and comfy. Great location and town is lovely. Lock in a great price for Residenza Antica Canonica – rated 9.2 by recent guests! Residenza Antica Canonica is located in a 15th-century building in the historic center of Città di Castello, right next to the cathedral. Suites and apartments are elegantly designed. 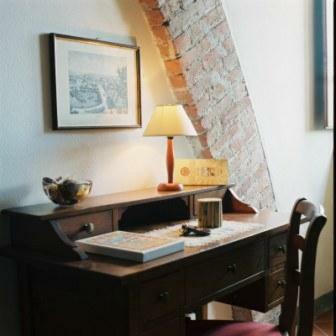 All accommodations at the Antica Canonica are equipped with a kitchenette, and offer free Wi-Fi and a view of the historic center of town. Rooms are decorated with antique furnishings. The Residenza is near many stores, museums and restaurants. This property also has one of the top-rated locations in Città di Castello! Guests are happier about it compared to other properties in the area. 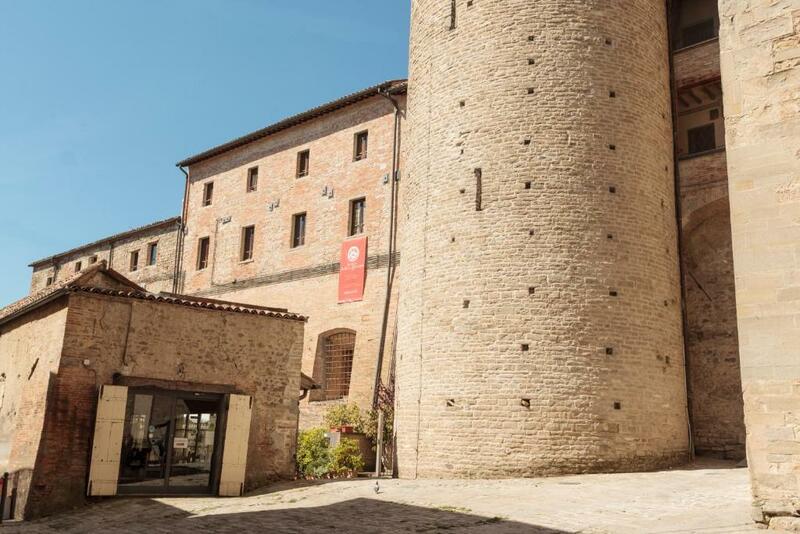 This property is also rated for the best value in Città di Castello! Guests are getting more for their money when compared to other properties in this city. 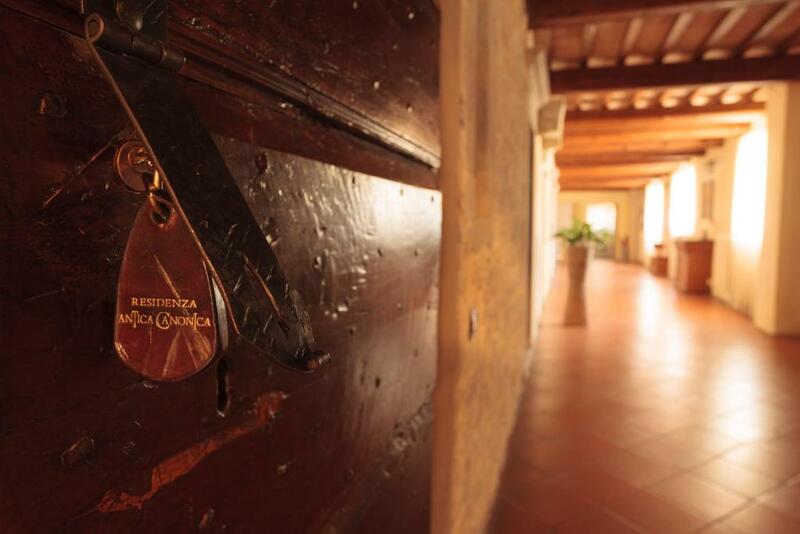 When would you like to stay at Residenza Antica Canonica? Features a lounge with kitchenette. This suite is large and bright with a spacious lounge and kitchenette. 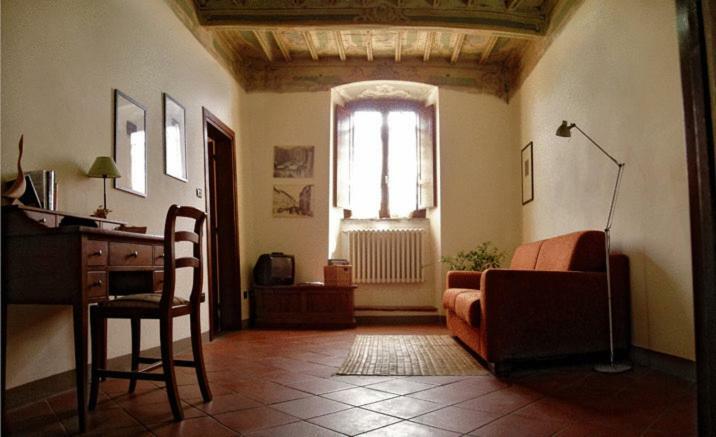 Two-floor apartment with lounge, kitchen and bedroom with original 18th-century frescoed ceilings. Features a large lounge with balcony overlooking the bell tower, well-equipped kitchen, and 2 bathrooms. Features a separate lounge and kitchen. Suitable for 2 adults and 2 children aged 12 or under. 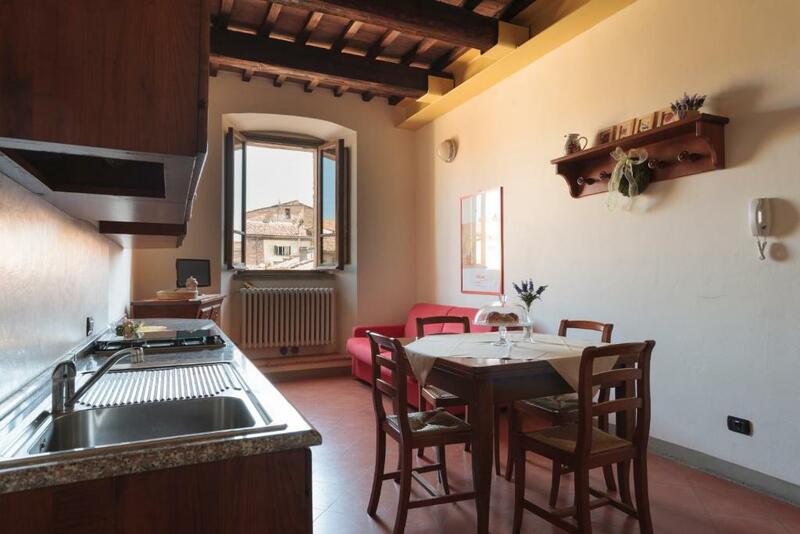 The Residenza is housed within a charming heritage residence situated in the town’s historic centre. All the apartments have independent access, are fully furnished. 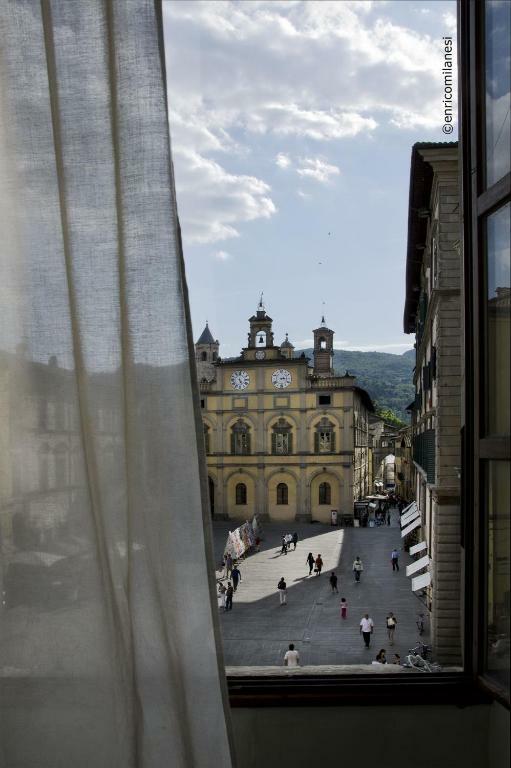 The windows of the apartment offer exceptional views of the Cathedral and its beautifully restored cylindrical campanile. Hello, my name is Elisa. 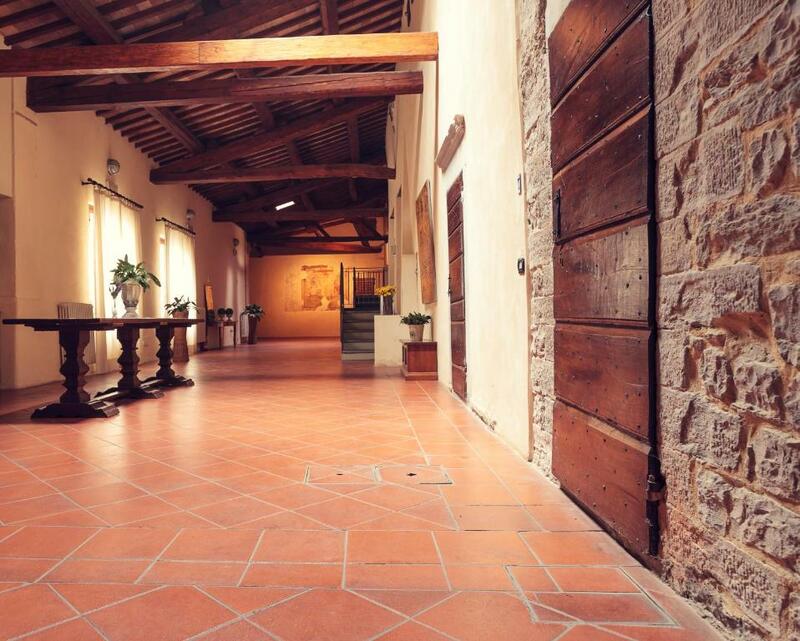 For 13 years, I’ve been welcoming guests to the Residenza Antica Canonica in the historic centre of my home town, Città di Castello. Making visitors feel at home is the thing I love most about my job. Over the years, I’ve met wonderful people from all over the world and this is what makes my work so rewarding. When I travel abroad myself, I don’t want to feel that I’m a ‘foreigner’. That’s why I make a special effort to welcome my guests and make myself available throughout their stay. I want people to feel comfortable, relaxed and have all the information they need. I love the place I live and I want my guests to love Citta di Castello too. It has an understated beauty, many priceless art works, beautiful countryside, wonderful regional produce and the truly authentic pleasures: family, friends, horse rides in the country and long summer days. I would be very happy to answer all your questions about our town and to suggest places that might be of interest. The Residenza Antica Canonica is situated in the historic heart of Città di Castello where you can immerse yourself in the beauty and simple pleasures of everyday life, such as shopping at the local markets which are held every Thursday and Saturday. The town’s best trattorias, shops, artisan workshops, a children’s playground, the cathedral, the civic tower and the historic council chambers are all within comfortable walking distance from the apartment. Everything is literally on our doorstep. House Rules Residenza Antica Canonica takes special requests – add in the next step! Residenza Antica Canonica accepts these cards and reserves the right to temporarily hold an amount prior to arrival. No heat. But not a problem. Elevator a bit tight, but doable. Parking about 200 meters away. Beautiful apartment, dead in the middle of town. Lovely, old, stylish and very comfy - lots of space. Elise very helpful and went out of her way to ensure our party was looked after. Very big rooms, good location. Helpful personal. Perhaps the possibility to have morning rolls and croissants in the residence each day. Elisa was one of the best and most informative and friendly owners we have ever known. She made our stay most memorable. We do hope to return.